For his first few months as principal, Mr. Dumont was a princial without a school building. Miami Hills School was supposed to open in September, 1954, but due to delays, it was not ready for students until early 1955. For the first few months, students were bused to Jefferson School in Indian Hill (at the corner of Drake and Indian Hill roads). In late 1954, classes were moved to Madeira High School on Miami Avenue. Miami Hills School finally opened for classes in January, 1955, housing students in grades one thru six. The building also housed a seventh grade class in the 1956-57 school year for those living north of Euclid Avenue. 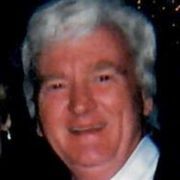 Dwight Everett Parsons, 70, of Lebanon, OH, passed away Saturday, June 30, 2018 at Cedarview Nursing Home in Lebanon, OH. He was born June 7, 1948, son of the late Donald and Dolores (Mohler) Parsons. Dwight is survived by his wife, Cheryl (Tipton) Parsons; a son, Robert and Bethany Parsons; a daughter, Heather and Mark Wright; a brother, David Parsons; 7 grandchildren, Rachel, Kelly, Lisa, Logan, Austin, Oscar and Onslo; 3 great-grandchildren, Emma, Farrah and Cove; 3 step-children, Kristen Bair, Scott Bair and John Bair and 2 step-grandchildren, Meghan and Logan Bair. In addition to his parents, he was preceded in death by a daughter, Dawne and a brother, Donald Dean Parsons. Funeral services will be held at 1:00 P.M., Thursday, July 5, 2018 at White-Schwarzel Funeral Home in Coolville, OH. Burial will follow in the Frost Cemetery. Visitation will be held at the funeral home Thursday, from 11:00 A.M. until time of service. In lieu of flowers, please go to parkinson.org to donate in Dwight's name. You are invited to sign the online guestbook at www.whiteschwarzelfh.com. To send flowers or a memorial gift to the family of Dwight Everett Parsons please visit the funeral Home's Sympathy Store. Roger "Denny" Johnson of Maineville. Beloved husband of 46 years to Colleen (nee McCane) Johnson. Loving father of Chad (Chrissy) Johnson and Tammy (Tim) Allen. Proud grandfather of Ciera Johnson, Brayden Johnson, A.J. Johnson, Olivia Allen and Austin Allen. Dear son of the late Roger and Helen Johnson. Dearest brother of Doug (Kay) Johnson. Passed away June 5, 2018 at the age of 74. Denny was a teacher and coach for Loveland Schools from 1972-1999. As head varsity coach, he lead the football team to the first ever state playoff game. He served in the U.S. Air Force for four years active duty as a Sgt. and also in the Reserves. For 30 years, he was a heavy-handed bartender and an avid golfer at O'Bannon Creek Golf Club. Friends will be received Monday, June 11 from 5-8 PM in the Tufts Schildmeyer Funeral Home, 129 N. Riverside Ave., Loveland, where funeral services will be held Tuesday at 10 AM. In lieu of flowers, donations may be made to Hospice of Cincinnati. Nancy Miller Johnson passed away on Sunday, October 30. Inoperable internal bleeding. Not suspected until it was too late. She was 68 years old. She is survived by her husband, Bruce Johnson, two children and six grandchildren. There will be no service or gathering, per her wishes. She did not designate any charities or organizations for memorial gifts or donations. The family request no flowers. Linda J. Constant, beloved daughter of the late Ronald and Ruth Constant, dear sister of Sandy Reder (Madeira Class of 1965) and David (Vicki) Constant, also survived by her loving dogs Sadie Grace, Sammy and Sophie Mariana. Passed away on August 18th at the age of 65. The family will receive friends on Monday, August 29th from 10AM until the time of memorial service, 11AM at Old Armstrong Chapel, at the corners of Indian Hill Rd. and Drake Rd. The family asks that memorials be made to either Armstrong Chapel UMC, 5125 Drake Rd (45243) or Save The Animals Foundation, www.STAF.org. Michael went home with the Lord on December 02,2015 at his home surrounded by his loved ones. He will always be remembered for his love towards his family. He was survived by a daughter, Natalie Victoria Heflin. There was no public service. WRIGHT Ralph A., a social studies teacher at Madeira High School from 1948 to 1972, passed away in Sun City, AZ on September 9, 2006. He was 93 and had emphysema. He made national newspapers when his 1968 political science class held a mock Republican presidential nomination and to his surprise chose him over Richard Nixon, Ronald Reagan, Nelson Rockefeller, Charles Percy and George Romney. He reveled in telling friends that the golf team he assisted at Madeira defeated Jack Nicklaus' team. Popular with his students, the class of 1960 dedicated its yearbook to him. One of his favorite exam question was, "What cards did Wild Bill Hickok hold when he was shot in the back of the head during a poker game in Deadwood, KA - a so called "dead man's hand'? (Ans. Aces and Eights) He is survived by his wife Anne, two daughters and two granddaughters. Romano, Ruth Mary passed away at General Hospital (now University of Cincinnati Hospital) on August 1, 1965 at the age of 32. Miss Romano was born on December 4, 1932 to John A. Romano and Mary Bowen Romano. She was survived by her mother and brother, John Romano. Miss Romano graduated from Commerce Chase College (A.S.C. ), University of Cincinnati (B.S.Ed) and Xavier University (M.Ed.). 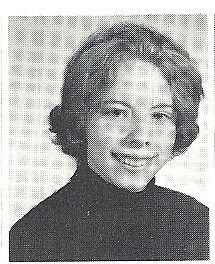 As an educator at Madeira High School she taught Typing I, II; General Business; and was Ninth Grade Co-Ordinator and Guidance Counselor. Her door was always open to her students and is remembered for her understanding smile and advice. 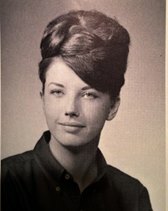 Helen Swafford passed away in Bakersfield, CA where she lived with her husband Oscar (teacher at Indian Hill). They moved to CA in the early 80's and lived next to their son Dr. Albert Swafford (Al) until her passing on July 21, 1996. She had been in good health with some problems with her back that caused her a lot of pain but she lived a full life playing with grandchildren, fishing lakes in surrounding counties and touring trips in their motor home. She enjoyed Al's 3 children living just next door; watching them swim and play through the years. 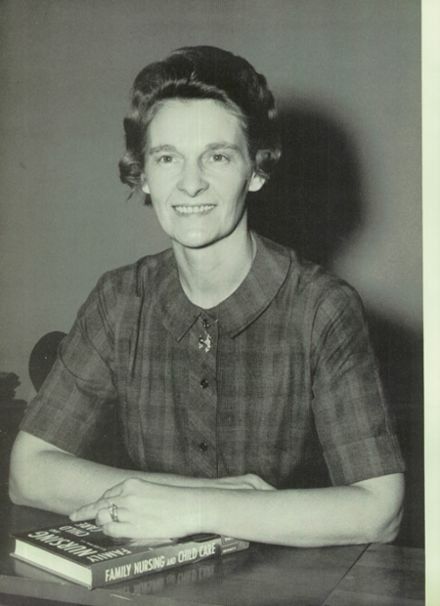 She taught Home Echonomics at MHS and was the sister of Lillian Coe who was also a teacher at MHS. For more information on Mrs. Swafford Click Here. February 13, 1920 to June 23, 2014, born in Harlan Kentucky to Albert and Retha Manning Lewallen. Preceded in death by her loving husband of 68 years, James, who passed away in 2008; brother Egre Lewallen (Norma Keesey); sisters, Helen Swafford (Oscar) and Ethel Green (Richard). Lillian is survived by daughter Jan Davis and son-in-law Ernie Davis of Fort Myers, FL and Lexington, KY. She was blessed with one grand daughter, Stacy Davis, of Lexington and one great grandson, Brody Solomon, who she thought the sun rose and set. Also surviving family members are 2 nephews, Dr. Albert Lewallen (Solveigh) of Bakersfield, CA and Ernie Lewallen, (Debbie) of Cincinnati, Ohio and 1 niece, Jayna Wilson (Charles) also of Cincinnati, Oh. Numerous great and great-great nephews and nieces. A special thank you to Lillian's loving caregiver, Myrna Hatfield of Somerset who sat by her side talking and watching old TV shows for 3 summers. Attended Harlan High School and received her teaching degree from the then Eastern Kentucky State Teachers College where she majored in Business Education. Later returning to Eastern to gain both a Masters degree and Rank 1 certification that she used to educate young people for almost 5 decades in Kentucky at Harlan High School, Clay County High School and in Ohio at Madeira High School. She will be remembered for her ability to listen to students' problems and her never ending smile of encouragement to those around her. For "Ms Coe", teaching was not a job but a life's work she dearly loved and respected. Funeral services will be 2 p.m. Monday at Kerr Brothers Funeral Home - Main Street in Lexington, KY by Steve May. Burial will be in the Lexington Cemetery. Visitation will be 1 p.m. until the time of the service Monday at the funeral home. Passed away on January 6, 2014 in Clearwater, Florida from cancer at the age of 68. 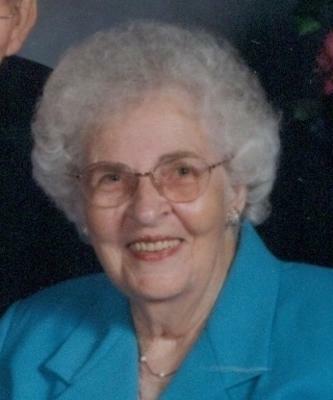 GULLEY, Gloria 68, of Clearwater, went to be with the Lord and her husband in eternal rest Jan. 6, 2014. She is survived by her sister Patricia; nieces Dawna Marie and Nichole and nephews David and Christopher. Alan Wayne Authier, Class of 1964, passed away on January 3, 2009 in Appleton, Wisconsin at the age of 62. 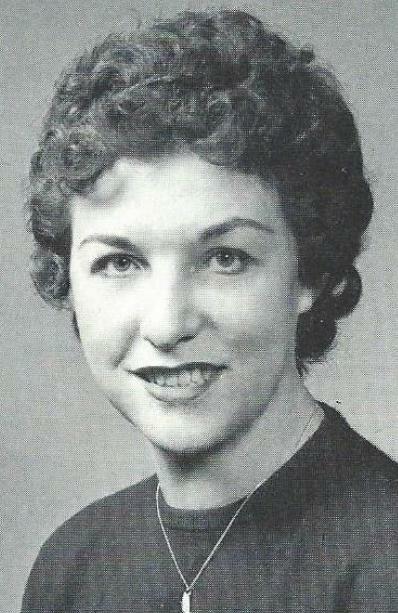 Former Madeira High teacher, Ann Hern, passed away on November 8. She had been a resident of Maple Knoll Village in Springdale. 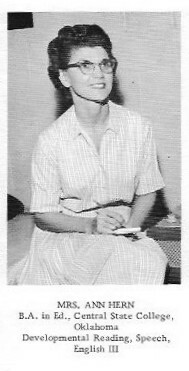 She taught at Madeira High School starting in the 1959-60 school year through the 1962-63 year. Her three sons attended Madeira. Roy - Class of 1961. Denny - Class of 1964 and Paul - Class of 1968. Larry passed away on July 7, 2013 in Greenville, Mississippi from cancer. He was 67. Most recently, Larry had been the General Manager at WXVT-TV in Greenville. He had resigned from that position in 2012 due to his illness. A graduate of the University of Cincinnati Radio-TV Department, Larry also worked for TV stations in: Cincinnati, Indianapolis, Chicago, Knoxville, Kansas City, Detroit, Honolulu and Tampa/St. Petersburg. Victor Francis, age 83, beloved husband of Vera Bergdolt Effler (nee DiMuzio). Preceded in death by his first wife of 42 years, Evelyn (nee Foht) Effler. Teri Doyle (Alan), Jim (Debbie), Grace Comber (Robert), and Paul (Allison). Franciscan Missions, P.O. Box 12395, Albuquerque, NM 87195-0395. Daniel C. Maxfield. Dear sister of Daniel W. (Joan), Thomas M. (Joan) and Shirley Strong. in West Chester when she passed away. in the Fall of 1944.
loving mother, Beatrice; sister, Peg; and brother, Bill. Jack was the brother of Patsy Trefzger Kulesza from our Class of 1965. & Elizabeth Trefzger and Katie Mason; dear brother of Patricia Kulesza and Stewart Trefzger. January 4, 2012. Age 66. Residence Kenwood. 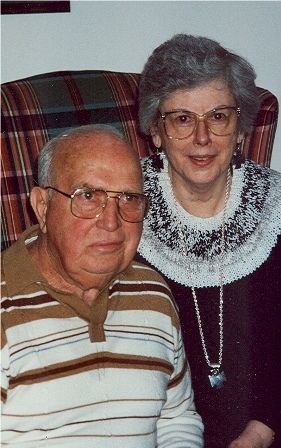 2 great-grandchildren, passed away Monday, August 22, 2011 at the age of 63 years. funeral service at 11 a.m. Hodapp Funeral Home, West Chester, serving the family. Former MHS basketball coach, Bob Jacoby died February 15, 2011.
if you have some more memories". BUCHY Mr. Charles E. Buchy, age 77 of Cincinnati, Ohio, passed away Sunday, August 29, 2010, at 9:15 a.m. at Bethesda North Hospital in Cincinnati, Ohio. He was born April 3, 1933, in Greenville, Ohio, to the late George J. and Amba (Armbruster) Buchy. Charles graduated from Greenville High School in 1951 and Wittenberg University in 1955. He spent a 30-year career as a chemistry and physics teacher at Madeira High School in Cincinnati. After retiring from teaching, he worked for Procter and Gamble as an analytical chemist for 12 years. He was an active member for over 40 years at Good Shepherd Lutheran Church in Cincinnati and sang in the choir. He was a member of the Greenville Masonic Lodge for 56 years and a very active member of the Valley of Dayton Ancient and Accepted Scottish Rite. Charles also served as trustee and chairman of the board for the Dayton Masonic Learning Center for Children. He was a member of the Antioch Temple Shrine in Dayton and also participated in another Shrine organization called the Jesters. Charles was coroneted an honorary 33rd Degree Mason in Pittsburgh, Pa, in 2000. He loved music, reading, sports of all kinds, especially golf and Standard-bred horses. He was a giver and a great teacher. He is survived by his wife, Lindsay (Chichester) Buchy. He is also survived by his brothers Robert (Phyllis) Buchy of North Hampton, Ohio, and Jim (Sharon) Buchy of Greenville, Ohio, along with numerous nieces, nephews, cousins and friends. A memorial service will be held at a date to be determined at Good Shepherd Lutheran Church in Cincinnati. For the date and time, please call 513-891-1700. Memorial contributions may be made to Good Shepherd Lutheran Church, 7701 Kenwood Road, Cincinnati, Ohio, 45236 or Dayton 32nd Degree Masonic Learning Center for Children, PO Box 932, Dayton, Ohio, 45401-0932. SYMMES TWP. 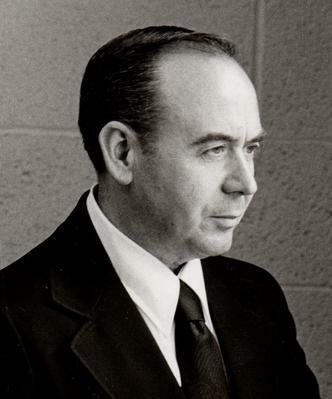 - Teacher, chemist and community volunteer Charles E. Buchy was a man of many interests, talents and admirable personal traits, but no single word better sums up his character than devoted. He was known for his constant care of his wife, Lindsay, his decades of commitment to his church and Masonic lodge and his 30-year career as a Madeira High School teacher. The Symmes Township resident, 77, died Aug. 29 at Bethesda North Hospital of a lung fungus. "He was really a happy person. He knew what his life was about, knew his values and enjoyed life," said Steve Marsh, a friend and fellow church member at Good Shepherd Lutheran Church in Kenwood. "He was a model of what it means to be a Christian." A faithful choir member and financial supporter of his church, Mr. Buchy maintained an equally steady commitment to his volunteer interests. He was a 56-year member of the Greenville Masonic Lodge in his hometown of Greenville, Ohio. He followed his grandfather and father in his Masonic work. Both he and his brother Jim Buchy of Greenville, were coroneted a 33rd Degree Mason, the group's highest honor. As chairman of the board of trustees of the Dayton 32nd Degree Masonic Learning Center for Children, he managed the physical site and provided significant financial support. "His philosophy was that you made a commitment to your community, and you participated," his brother said. "He was a giver." A 1951 graduate of Greenville High School and 1955 graduate of Wittenberg University, Mr. Buchy began his teaching career in Bay Village, Ohio, taught at a college preparatory high school, the Mid-Pacific Institute in Honolulu, then moved to the Cincinnati area after marrying his wife, Lindsay, a teacher in Norwood City Schools. He taught chemistry and physics at Madeira High School from 1955 to 1985. His signature personality traits - a fine intellect and approachable, unassuming manner - made him popular with both students and the youth at his church. He was a man of strong values and opinions, yet respectful and accepting of those who did not share his views. When his wife chose to join the Catholic rather than Lutheran faith, he was wholly supportive of her choice. On church boards, he had a talent for keeping groups and discussions focused and productive. His wife, who suffered from a back injury, remembers his patience and constant concern. "I never had to do any lifting - he took such good care of me. He always put me first," she said. After retiring from education, Mr. Buchy spent 12 years working as an analytical chemist for Procter & Gamble. Throughout his life, he also poured his interest and energy into a variety of favorite pastimes. He loved harness racing and was a co-owner of a number of trotters at Midland Acres horse farm in Bloomingburg, Ohio. An avid golfer, he worked as a starter and ranger at Sharon Woods Golf Course. He also played baritone and French horn, sitting in on Sunday evening municipal band concerts in his hometown of Greenville and Madeira High School musicals. In addition to his wife and his brother, survivors include another brother, Robert Buchy of North Hampton, Ohio. His family plans a memorial service at a later date. For details, call Good Shepherd Lutheran Church at 513-891-1700. Memorials: Good Shepherd Lutheran Church, 7701 Kenwood Road, Cincinnati, OH 45236; or Dayton 32nd Degree Masonic Learning Center for Children, P.O. Box 932, Dayton, OH 45401. Passed way on November 25, 2002 at the age of 58. Enquirer Obit on 11/27/2002 - KEETON Steven C. beloved husband of Karen Keeton (nee Bokelman) devoted father of Kathy (Andy) Manbeck and Kelly (Scott) Lutz, loving grandfather of Harrison and Mackenzie Lutz and Bekah Manbeck, dear son of William J. Keeton and Dorothy Carmell, dear son-in-law of Robert and Johanna Bokelman, brother of Jon Keeton, also leaving behind many loving relatives and friends. Suddenly November 25, 2002. Age 58 years. Steve was a US Navy Seal, a retired Cinti. Police Sergeant, and the Director of Maintenance for Fath Management. Steve will always be remembered for his unique wit, hard work and devotion to family and friends. He will be truly missed. Service at T. P. White & Sons Funeral Home 2050 Beechmont Ave. Mt. Washington on Monday, December 2 at 11 A.M. Friends may call on Sunday from 4-7 P.M. In lieu of flowers and family prefer donations to the Steve Keeton Memorial Fund c/o Bank One 822 Delta Ave. Cinti. 45226 for his grandchildren's college fund. ww.tpwhite.com. STOUFFER Robert E., beloved husband of Jeanett (nee Sterwerf) Stouffer, devoted father of Julie Jones and Lisa Stouffer, dear grandfather of Travis, Destinee and David Jones, dear brother of Ann Drennan and David Stouffer, loving son of Richard and the late Katie Stouffer. July 30, 2001. Memorial service 1 P.M., Friday at the Madeira-Silverwood Presbyterian Church, 8000 Miami Ave., where friends may call from 7-9 P.M., Thursday. Contributions may be directed to the American Parkinsons Disease Assoc., 231 Bethesda Ave., Suite 4005, Cincinnati 45229. Vielhauer-Clepper Funeral Home, 731-1944 serving the family. Passed away on July 29, 2000 of Cancer at the age of 53. 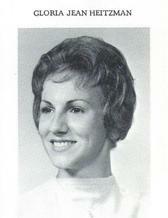 Marcia Ruth Klerks (Odom) died from Cancer on July 29, 2000. She is buried at the Rose Hills Memorial Park in Whittier, California.